A view of the Kentucky Capitol on March 28, 2019, the final day of the 2019 regular legislative session. To hear lawmakers describe it, the state faces a stark dilemma. Without any action, universities and affected agencies could see the pension contribution rates for their employees skyrocket from 49 percent to 84 percent of their salaries — driven upward in part by more conservative payroll growth and investment assumptions. A domino effect could follow, as some local health departments and mental health centers fold while tuition balloons. But any plan to cushion the blow would place a greater burden on the state's already strapped pension system, which owes more than $43 billion according to Republican State Auditor Mike Harmon. Or, as Senate budget chairman Chris McDaniel put it: "The question is should we do our best to help them maintain their 49 percent level or should we put them into a situation where their only option is bankruptcy and they pay nothing." The free conference report approved by both chambers would freeze contribution rates at 49 percent for another year, and give universities and agencies a choice to stay or leave the state pension system. Entites that opted to exit could pay back their liability in installments, starting at 49 percent and gradually inching up 1.5 percent annually. "This is yet another rush job," says Jason Bailey with the Kentucky Center for Economic Policy. The analyst notes that, under the compromise language, if an affected agency finds itself more than 30 days late on a payment, the system could cut benefits for employees who have already retired. "So if you're an 85-year-old woman receiving a retirement benefit, it could literally have it frozen because your former employer is not paying on a liability," he says. "That's not fair to those folks living on a fixed income who are counting on those benefits. It's also not legal." Zooming out, critics also sounded alarmed by what the exodus could mean for the solvency of the larger retirement system itself, as pensioners exit and employers pay a discounted rate back into the system. "We've still not figured out a way to pay the pension liabilities and this will make that problem worse," Bailey warns. "We're headed for a train wreck in terms of a budget in January." Proponents counter that the state's back is against the wall and the bill represents the best option for the more than 31,000 employees potentially affected. Under the plan, employees hired before 2014 at agencies that choose to exit KRS would have the option of sticking with their traditional pensions or switching to defined contribution plans. Workers hired after 2014 would be automatically moved into defined contribution packages. "There's nothing but bad choices involved with this," McDaniel told reporters. "What we're trying to do is make this as affordable for these folks as we can." Governor Matt Bevin had indicated he would sign a previous Senate version of the pension relief package. Lawmakers also granted final passage to a number of new bills and overturned a handful of vetoes by the governor. Under this measure, Kentucky employers would be required to provide "reasonable accommodations" for pregnant workers and new mothers. Those include: part-time or modified work schedules, time off to recover from childbirth, a private area reserved for breastfeeding that is not a restroom, modification of equipment, and other guarantees. The state House granted final approval on a 84-5 vote. House Bill 11 outlaws tobacco use and vaping on Kentucky public school campuses and on school-sanctioned trips. Lawmakers tacked on an exception for school trips not attended by students. Under the final version, school boards could also opt out of the new rules three years after the law takes effect in 2020. Senator Ralph Alvarado, a supporter and physician, told colleagues only 42 percent of school districts are currently tobacco-free and it's "time for Kentucky to step up to the plate and protect its children." 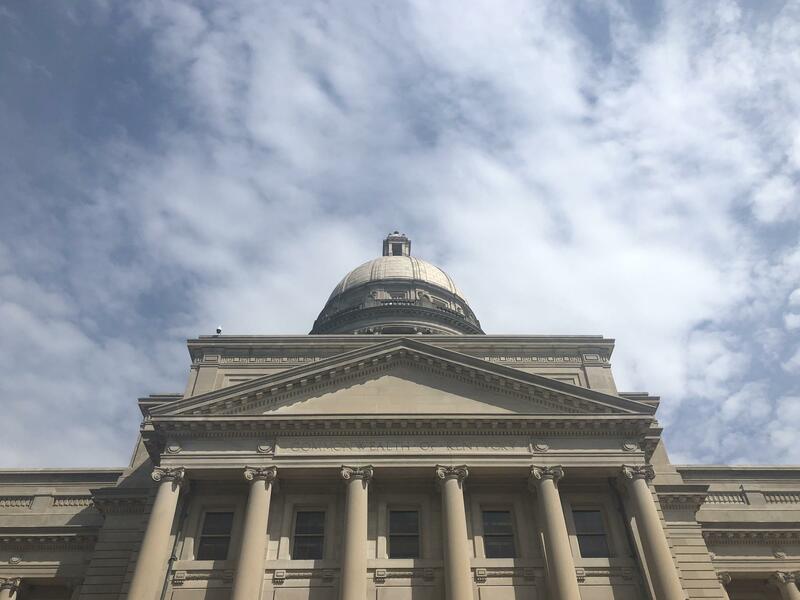 Thursday, lawmakers reopened House Bill 458, a measure already approved by the legislature and signed by the governor. The original bill, meant to clean up loose ends from last year's tax overhaul, also lowered taxes for Kentucky banks. Backers argued that, without the change, out-of-state banks could continue buying up community banks. New language, however, added deductions for corporate income taxes, among other changes. Louisville Senator Morgan McGarvey was the lone pass vote in committee. "For the now third time in two years, we are handed a tax bill late before really getting the chance to really read it and digest it before voting on it," he said. The previous version was set to subtract about $106 million from state coffers annually. It was unclear how much the revised version might cost. Both chambers swiftly overturned Governor Matt Bevin's line item vetoes in House Bill 268, commonly referred to as the session's "budget bill." The Republican leader had objected to provisions dealing with the disposition of university property and language altering how area development districts spend funds. Lawmakers also dealt a blow to Bevin on House Bill 4, a measure granting lawmakers greater oversight over the administration regulations process. He had vetoed the bill in its entirely, cautioning that "extending the regulatory process for an additional 60 days could put executive branch agencies at risk for losing federal funds." Teachers and their allies staying visible in Frankfort on the final day, albeit in more modest numbers. Red-shirted demonstrators were hoping to block a number of appointments to the state Board of Education. Karin Bennett, a public school parent from Louisville, was stationed at the base of the stairs leading up to the Kentucky Senate. "None of this stops until midnight tonight," she told WUKY. She was one of a smaller group of demonstrators that kept vigil outside the chamber, ahead of a lively debate over a gubernatorial appointment to the board. While the mood on the final day of the session was calmer than it's been in recent days, questions loomed over the teacher sickouts that closed schools in some districts. Wednesday, Kentucky Education Commissioner Wayne Lewis urged superintendents to close "loopholes" in their sick leave policies. Lewis, who requested the names of teachers who called in sick during the protests, said in a memo that if districts are unwilling to address the issue, he will "explore further action," including recommending the labor cabinet issue citations to teachers who engage in "illegal work stoppages." Copyright 2019 WUKY. To see more, visit WUKY.